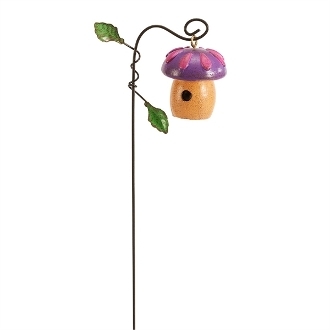 Purple Toadstool Mushroom Birdhouse For Gypsy Fairy Gardens. Full Description: This adorable birdhouse, designed by artist Genevieve Gail, is the perfect addition to any mini garden. Made of resin and metal. Features all-weather paint.